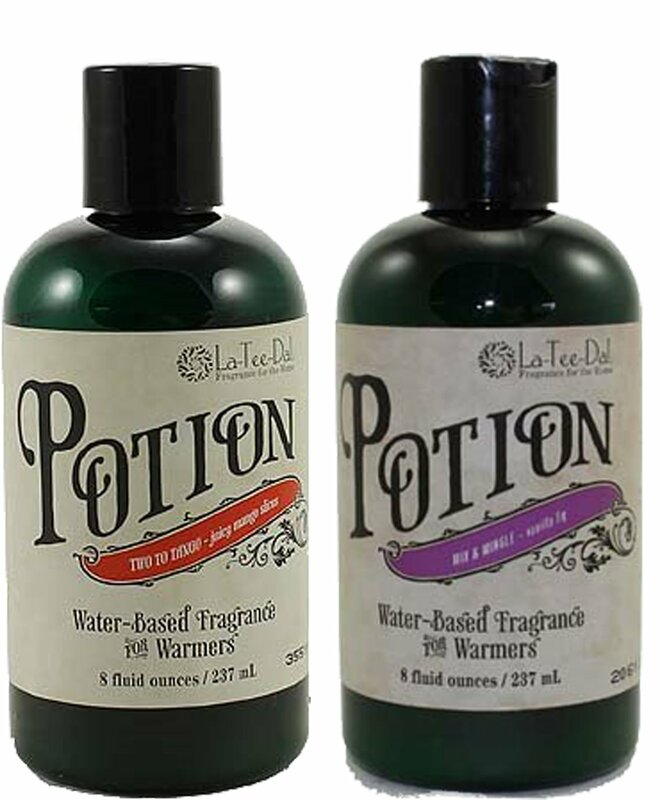 La-Tee-Da has developed the perfect product for electric warmers called "Potion". Potion is a water based fragrance formulation. The Potion keeps its strong scent clarity until it gradually and completely dehydrates to a thin film that can be easily wiped away. No messy wax residue. No phthalates or petroleum products. Half an ounce of Potion typically provides 3 to 5 hours of fragrance, depending on the warmer setting. Find 19 best-selling La-Tee-Da fragrances available in Potion. Each 8 ounce bottle of Potion provides at least 16 uses.